Bangkok Airways has unveiled plans to launch flights between Bangkok and Nha Trang, Vietnam. The airline will offer four flights per week on Mondays, Wednesdays Fridays and Sundays, with a 144-seat Airbus A319 aircraft, starting from 25 January 2019. The outbound flight PG993 will depart Bangkok (Suvarnabhumi) at 10:20 and arrive Cam Rahn (Nha Trang) International Airport at 12:05. The inbound flight PG994 will depart Cam Rahn (Nha Trang) Airport at 12:55 and arrive Bangkok (Suvarnabhumi) at 14:40. 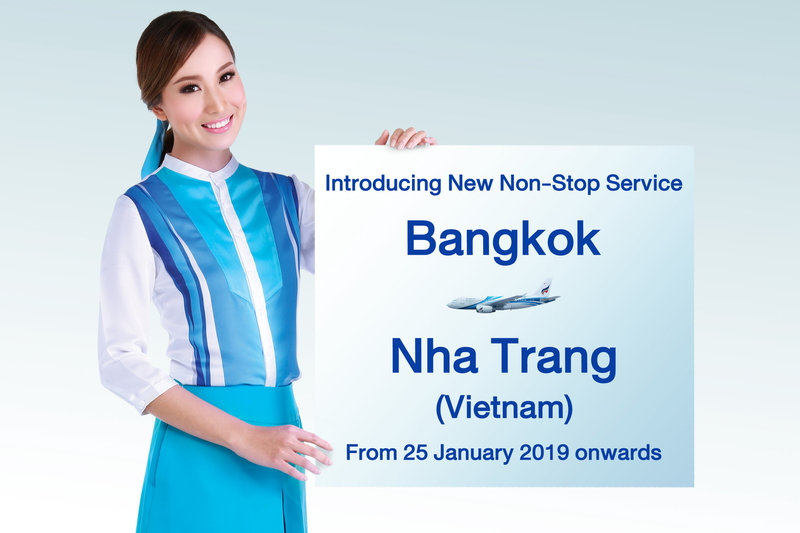 “Having a link to Nha Trang / Cam Rahn will make it easier for those passengers traveling aboard our codeshare partner airlines from around the world to connect to Dalat and Mui Ne, then on to Ho Chi Minh City. We are confident that with our strong reputation of offering a boutique flying experience for our passengers, Bangkok Airways will be the leading player in this market," Mr. Puttipong added. See latest HD Video Interviews, Podcasts and other news regarding: Bangkok Airways, Nha Trang, Suvarnabhumi.